Oh my! Kids will love this traditional teddy bear in a pink dress! You can easily customize this pattern by changing the colour of the dress to your favourite one. It will be a great gift for adults as well, because this lovely bear reminds us our own childhood. For more free designs every day follow us on Facebook. Share your ideas and your work on our Facebook group! 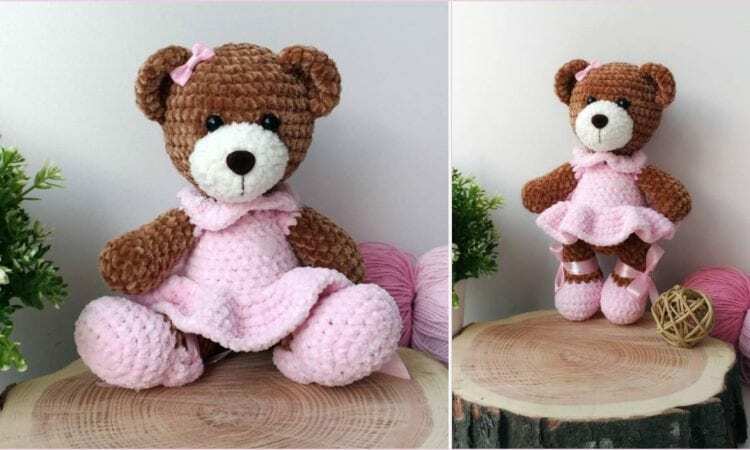 Crochet Sweet Bear – visit the free pattern site. Love it! ❤️❤️ I have two grand babies due in April. Would love to make one for each of them! Thank you for the pattern.